I ask myself this question every single day. Sometimes my answers might change. It depends on the day, but these ten…they never change. Most learn to be a caregiver just like I did…Flying by the seat of my pants in the dark! 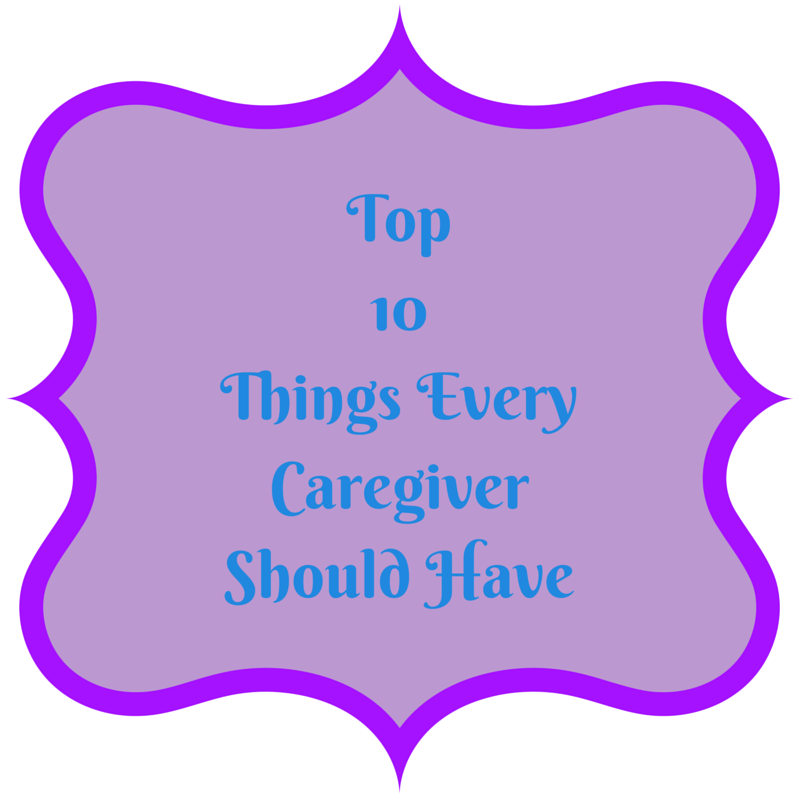 I’ve made a list of the top 10 things that you need to be a great caregiver. Of course, this in no way covers it all, but I feel they are by far the most important. COMMITMENT. This is so important, you have to decide if this is something that you can take on and commit to. It is not a job, you can just quit. Let me say, there will be many hard days. Days where you will cry and think of throwing in the towel but you have taken on the job of caregiver. Your loved one depends on you and they need to be able to count on you. UNDERSTANDING. This is a MUST. You have to understand what your loved one is feeling. You have to see things through their eyes. They cannot express their feelings the way you and I can. They have lost this ability and you have to learn to read between the lines. PATIENCE. This is a big one. One that I still work on daily. Your patience will be tried and tested over and over again. You have to go slow when you’re in a hurry. You have to repeat yourself over and over. Your loved one cannot help asking things so many times. They just don’t remember asking them the other 99 times. You have to let your voice and facial expressions be calm no matter what. Believe me when I tell you they can tell the difference and will pick up on it. CARING. Everything you do has to be about letting your loved one know that you care. Every touch, every word, You have to let them know every day that they are safe and secure and yes cared for. KNOWLEDGE. This is not something you will have immediately, but to be a good caregiver you have to find it and fast. The more you know, the more confident you will become. This helps your loved one to have more confidence in you, which will add to their feelings of being safe and secure. HONESTY. This is a tricky one. I will admit that I sometimes tell my mom little white lies. If she asks when we are going back to Kentucky I say soon instead of the truth because it makes her feel better. If she asks why someone doesn’t call I might say they called yesterday. These “fibs” are told out of love, not to do harm. The honesty I am talking about is being honest with yourself. If there are areas in which you need help or simply need a break to recharge you have to be honest with yourself and ask someone for that help. FLEXIBILITY. You have to be able to set you schedule by your loved ones needs. They may need to go to the doctors, or they may need to get out of the house, to take a walk, maybe they are having a rough day and just need you to sit with them and hold their hand. You have to be able to let things go for the greater good. It is their schedule that has to come first in your life. PERSPECTIVE. You have to be a good detective when it comes to your loved one. Some behaviors they WILL try to hide from you. Some things that they do mean something else entirely. You have to look into their faces. Watch their eyes and facial expressions, listen to their voices and you will understand them in ways you never thought possible. ORGANIZATION. This is very important as well. Being organized will save you in so many ways. Someone with dementia/Alzheimer’s will do so much better if they are on a consistent routine. I have found with my mother that it is actually helping her memory. She is doing more for herself because she always knows what comes next. Keeping track of medications and doctors appointments are a MUST. If you are organized your whole life will run smoother. LOVE. This is the first, last and most essential on the list. Everything you do or say has to come from a place of love. You will have many ups and downs and the one thing you must always remember is the person you are caring for is your “LOVED” one. I am in no way an expert, not even close. I’m just a daughter trying to do the best job that I can. I read everything that I can get my hands on and then decide what to incorporate into our lives. Some tips will work some won’t. Everyone is different. Don’t get discouraged and never give up. What may not work today just might work tomorrow. When I started doing this our lives changed for the better and we were all happier. You are absolutely right Linda! Thanks for commenting! Sister, this is gorgeous and things we all need..caregivers or no. You are just amazing. Thanks so much Michelle! You are right it could go for just about anyone! What a beautiful list Rena. We could all use it in our lives! Beautiful tips and following your journey you mark off each one of them daily as you work with your mother. What a wonderful thing to say! Thanks so much Laura! How true this is. As you know so well. I think you missed a HUGE one. One that you do regularly — sacrifice. It’s not a sacrifice at all, in fact, I think I am the lucky one in this arrangement! They really could I hadn’t thought about it like that before. Thanks for your comments Kathy! That’s definitely what it is Pia “going with the fantasy. Thank you so much, Claudia. I so glad you enjoyed it! Yes you are amazing! As a full time caregiver I could not agree more. Excellent list! Thank you so very much, Doreen! I am so happy you enjoyed it. So true – but not just for caregivers of loved ones but for professionals in the health care industry in general. You are doing a wonderful job! That’s very true Laura, I hadn’t thought of that before. Thanks for stopping by and commenting it is very much appreciated. Thanks so much Lana! I am so happy you liked it. Education is important but love is vital! Your mom is reaping the benefits of having raised a daughter with all of those and so much more. Thank you so much, Karen! What a lovely thing to say. Pretty good post madam. Everything’s true so caregivers out there should really read this..
caregiver safety recently posted…Hello world!